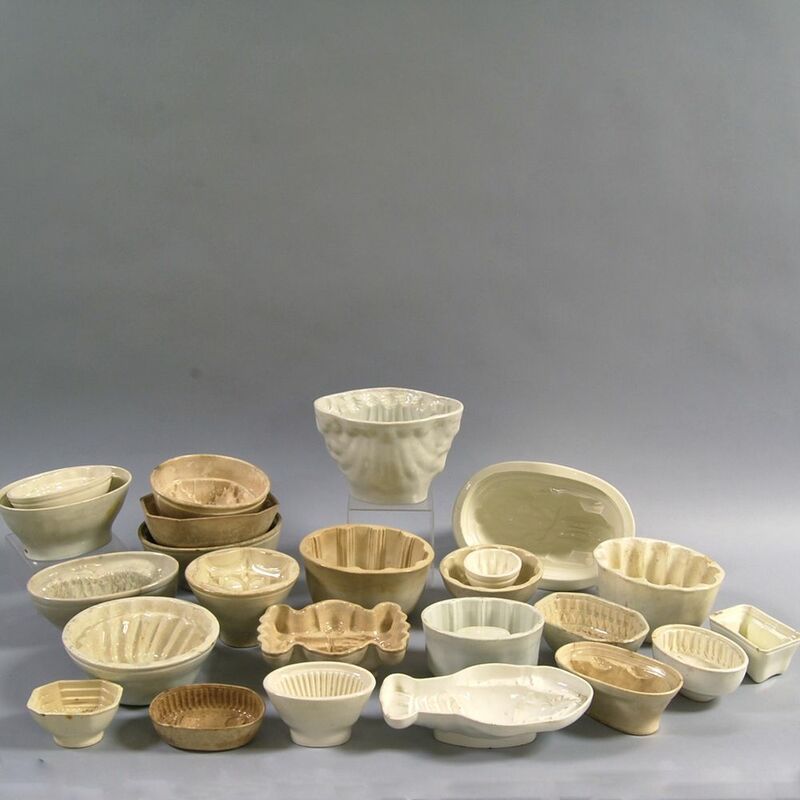 Twenty-four Creamware Culinary Molds, 19th/20th century, in varying designs, including a ram, two rabbits, and a lobster, ht. to 5 3/4, wd. to 11 in.